Mall of the Emirates is an entertainment and shopping resort. 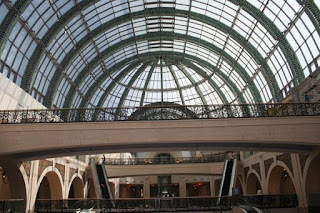 Strategically located in Dubai, this 223,000 square meter centre offers a full range of shopping, leisure, and entertainment. This shopping center is home to over 450 retailers and also features a complete range of entertainment options including Ski Dubai, the first indoor ski destination in the Middle East, a two-level Magic Planet, the largest indoor family entertainment centre in the country, a 14-screen Cinestar Cinemas and the Dubai Community Arts and Theatre with a 500 seat-theatre and art gallery.